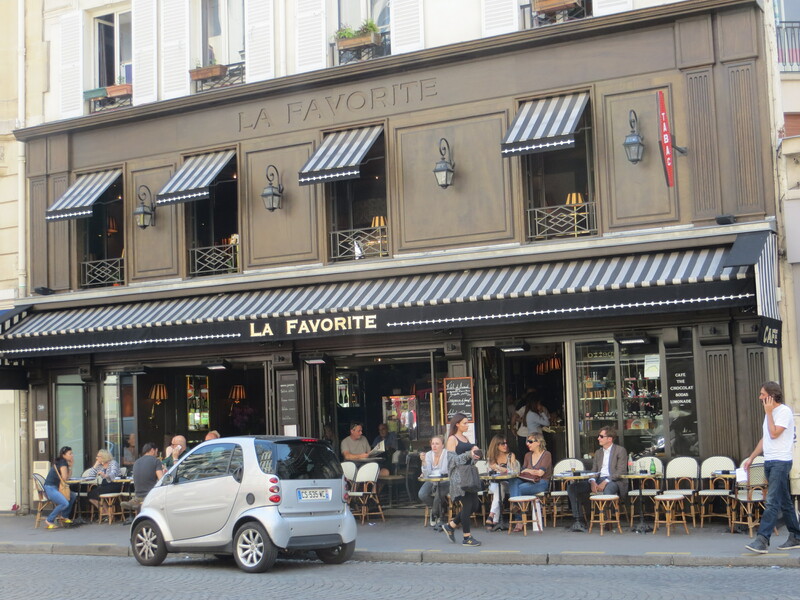 Spending a few hours lolling around a Parisian cafe is the very essence of la vie française, but I think many Americans find the task somewhat daunting. Our cultural differences become very apparent at the cafe. Let me explain. Despite my secret longing to be reincarnated as a French woman, it still took me a few weeks of living in Europe to understand that the “point” of a cafe is that there is no “point.” There is no end game. There is no goal. If you just want a coffee, then find the nearest Starbucks. The French are really good at sitting. For hours. Over one cup of coffee. And the unspoken contract between the cafe waiter and cafe customer is that this is totally acceptable. Les Deux Magots in Saint-Germain-des-Prés. Seat yourself. Do not wait for a waiter to seat you, simply take an available table. Signal for the waiter when they pass your table. Do not do the polite American I’m-trying-to-make-eye-contact-with-you thing. 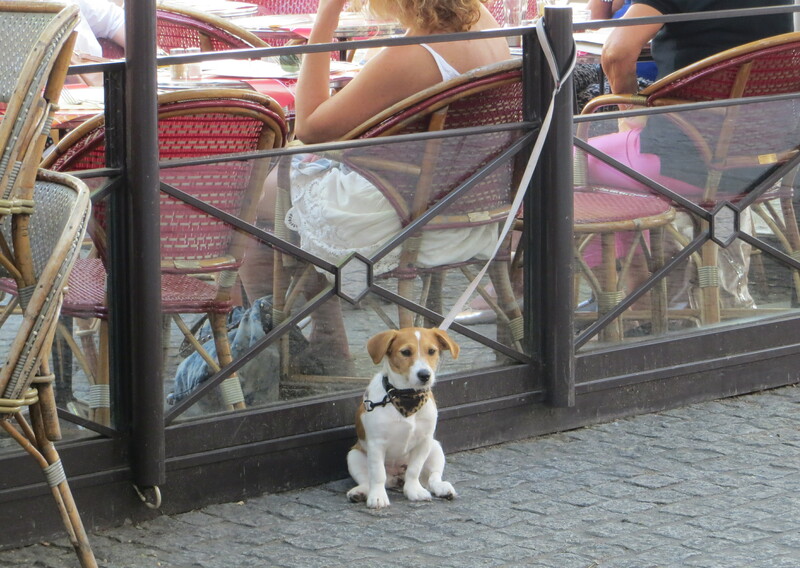 The French believe diners should not be bothered–they are waiting for you to order something. They are not ignoring you, they believe this is polite. Know what you’d like to order. Parisians don’t really use menus (la carte) unless they are ordering something to eat because all cafes tend to serve the same things: coffee, tea, espresso, various sodas, wine and beer. Nicer cafes may have a wine list. Most do not. Pay upfront. The waiter will bring the receipt with your coffee. If you are only staying for one, have euros ready and pay him on the spot. You can still sit there for hours. If you are getting more, do not pay until you have ordered your last drink. You can leave 0.50 to €1 as a tip. Brasserie Aéro on Rue de Passy. La Favorite on Rue de Passy. Place Saint-Germain-des-Prés. 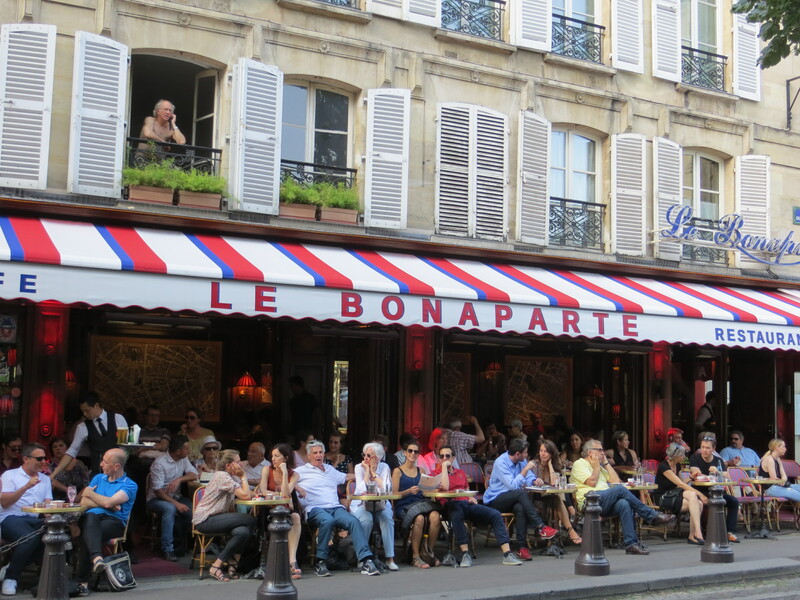 At the intersection of Boulevard Saint Germain and Place Saint-Germain-des-Prés, you will find a handful of cafes that make sitting at a cafe an art form. Bow-tied waiters, pastry carts and the best people watching around. 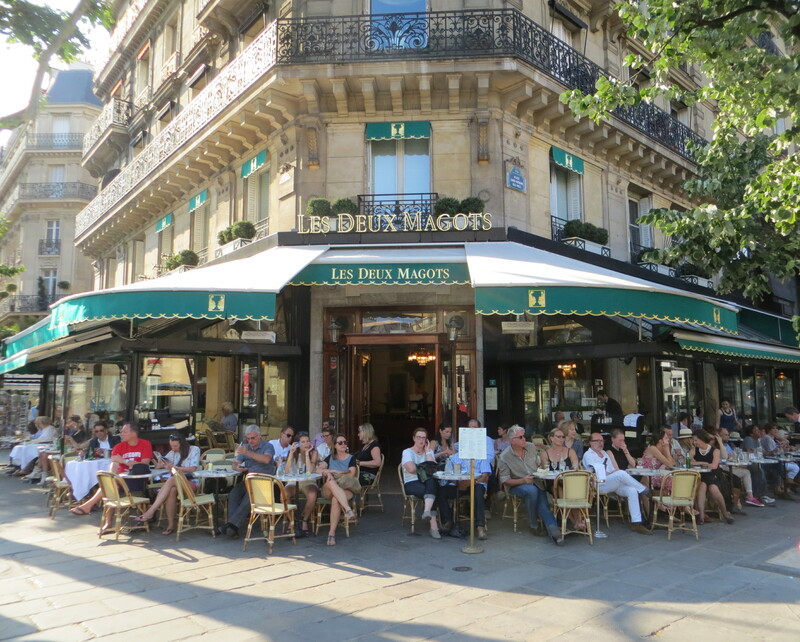 Les Deux Magots has the best views, Le Bonaparte is set back a bit and Café de Flore is perhaps the most elegant. Rue de Passy. 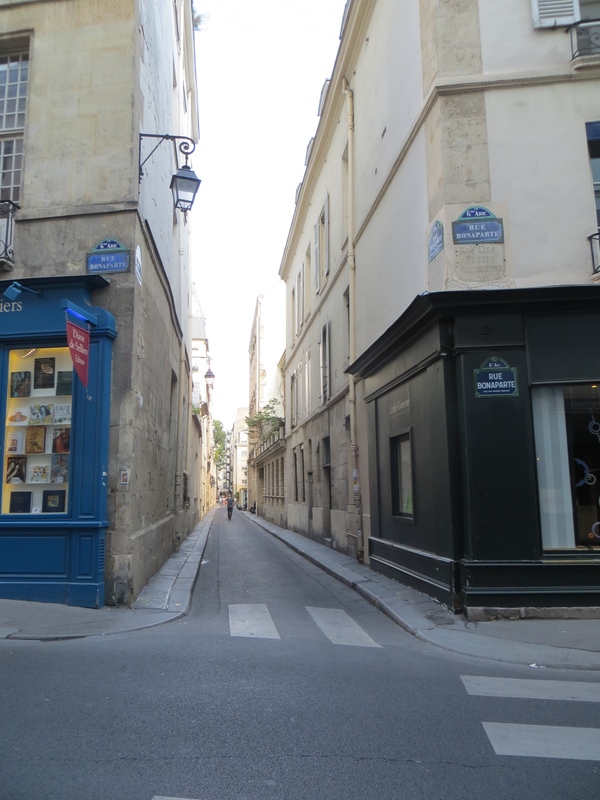 Out of the way in the quieter 16th neighborhood, Rue de Passy has some of the best shopping in Paris. Sunny Cafe Le Passy is on the Place du Costa Rica (where the street begins), further down Passy is Cafe La Favorite and even further down is Brasserie Aéro. Place de La Sorbonne. 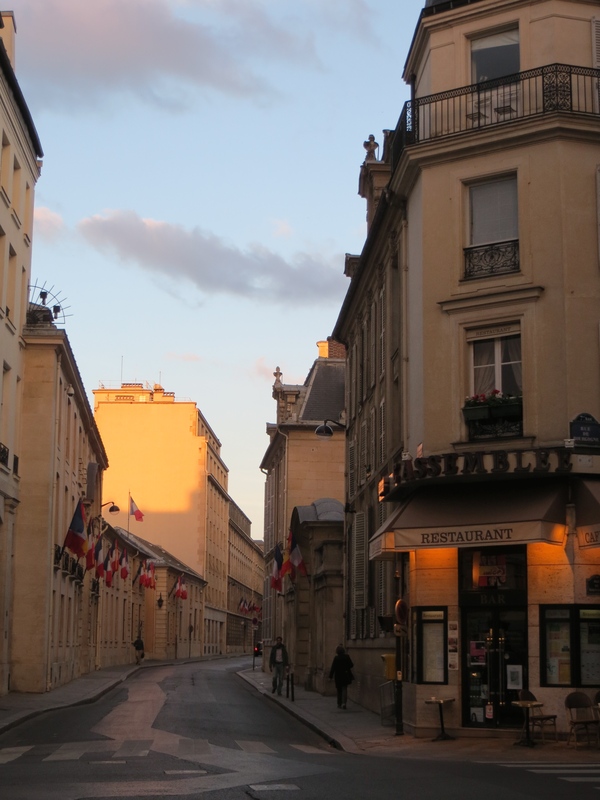 In the Latin quarter you will find a square with the La Sorbonne University’s most iconic building at one end and three small cafes under the shade of trees: L’ecritoire, Les Patios and Baker. L’ecritoire is the oldest and my favorite. 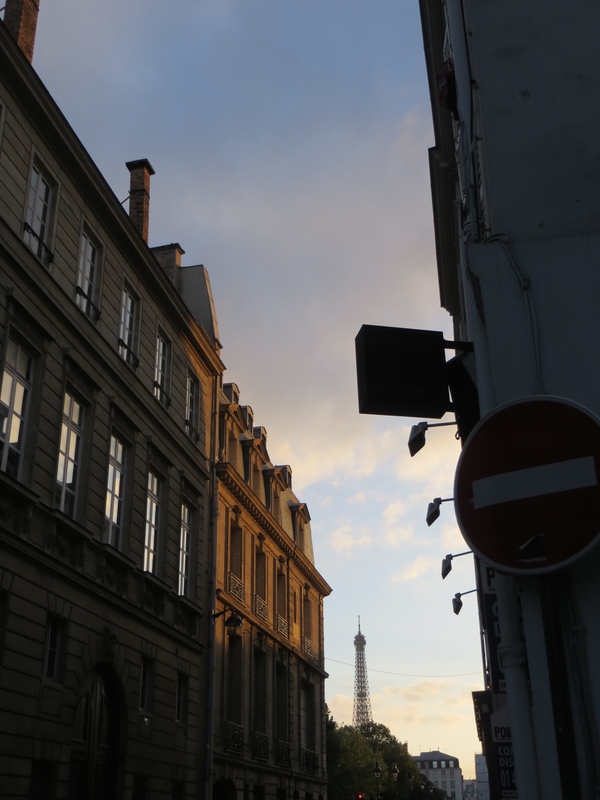 Rue des Martyrs. My Parisian friend recommended I go shopping along Rue des Martyrs and its intersecting Rue des Abbesses–an old neighborhood that has been brought back to life with fashionable boutiques and hipster cafes, like KBCafeshop. You will find laptops at this cafe, which has a laid-back Brooklyn vibe. Nearby is La Table des Anges and Café Kitsuné. 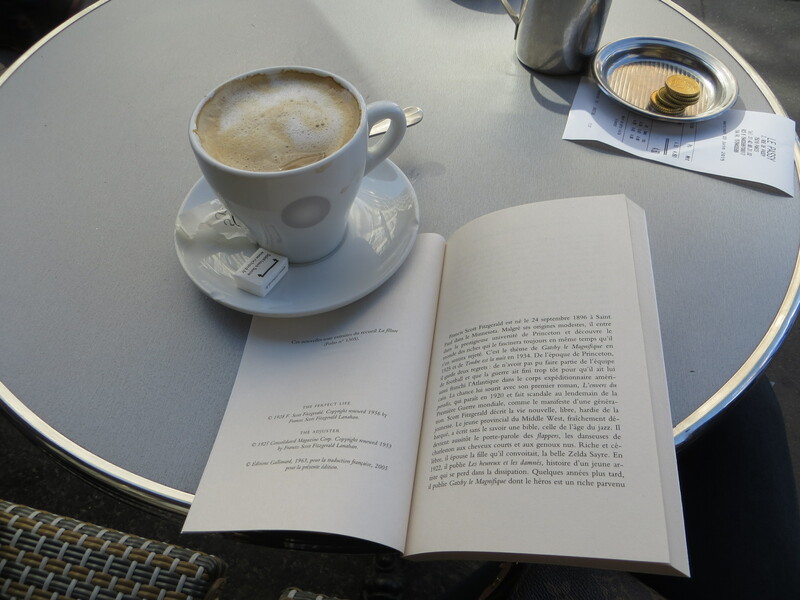 I imagine there are a lot of good cafes in Paris.